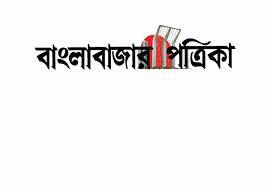 Daily Prothom Alo : Prothom Alo is the highest number of published Bangla Newspaper in Bangladesh. Prothom Alo is also one of the popular Bangla Newspapers in Bangladesh. Address: CA Bhaban, 100 Kazi Nazrul Islam Avenue, Karwan Bazar, Dhaka-1215. 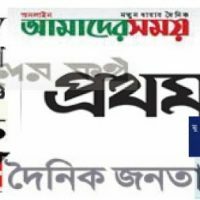 Bangaldesh Protidin: Bangladesh Protidin one of the popular daily Bangla Newspapers in Bangladesh. Bangladesh Protidin was started in 2010 . Its seconds highest number of newspapers published Bangla Newsppaer in Bangladesh. The Editor of Bangladesh Protidin is Naem Nizam and Publisher is Moyhal Hossen Chowdhury. The owner of Bangladesh Protidin is East West Media Group Ltd, is a sister concern of Bashundhara Group, Ahmed Akbar Sobhan is the Chairman of the group. All Bangla Newspapers in Bangladesh. Bangladesh Protidin is the tops highest circulated Bangla newspaper in Bangladesh, Best one out of 345 newspapers published from Dhaka and other cities, said Information Minister in Parliament. Total circulations of Bangladesh Protidin is about 5,53,000 copies daily. 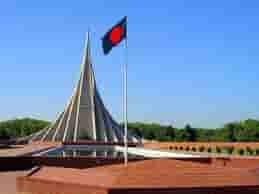 The Daily Star is the tops highest circulated English daily newspaper in Bangladesh with 41,1500 copies daily. Bangladesh Protidin celebrated 4th Anniversary on March 15, 2014. Bashundhara Group Chairman Ahmed Akbar Sobhan, Editor Naem Nizam, Executive Editor Pir Habibur Rahman , Journalists and Employees greeted the guests at the anniversary programs. Ministers, State Ministers, MPs, Political Leaders, Businessmen, Government and Civil High Rank officials, Eminent citizens, Journalist, Writers attended the Bangladesh Protidin anniversary function. A colorful cultural programs performed by singer SD Rubel, Beauty, Puja, Imran, Arefin Rumi, Pritam, Sahid , Rahat, Pulok and Model, Actor, Celebrities at the Anniversary at the Bangladesh Protidin office premises. In the beginning Bangladesh Protidin News paper price was Tk. 2.00 only. Now the printed version price is Tk. 5.00/-. The first Bangla news paper in the short version was the daily Amader Shomoy. bangladesh Proditin is the second in these kinds of Bangladesh. The Bangladesh Prodition news categories are National News, Nagar Jibon, Purbo-Parchim, Editorial, Rakomari, Showbiz, Deshgram, Mathemoidane, Khola Kalam, Panchparan, Jibhondhara, Talkshow, Ajker Rashi, Islam, Probas Patro, Hatbar, Muktomoncho, Highlights, Lead News, Khabor, Feature, etc. Bangladesh Protidin has 2 categories of publications are printed news paper and Internet base web page and e-paper. Bangladeshi bangla Protidin internet base newspapers also very popular in Bangladesh and out side Bangladesh. Many people reading Bangladesh Protidin internet version every day. Most of the readers of Bangladesh Protidin newspapers are from Middle East and from other countries. Bangladesh Pratidin newspaper also commercially successful newspaper in the country. 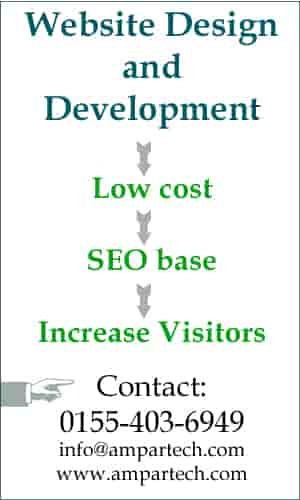 Protidin website is enabled for Desktop computer, Mobile set and table PC and this is the reasons many readers visit the Protidin internet version. bangladesh protidin.com, Highest reader base Bangla Newspaper. e Bangladesh protidin internet base e paper is reading almost like reading print version of the dainik Bangladesh protidin. Plot No: 371/A, Block-D, Bashundhara R/A, Baridhara, Dhaka. TelePhone: 8402361-3, Fax No. 8402364. The Daily Ittefaq, one of the most reading Bangla Newspapers. Editor of the Bangla Newspaper. The Daily Jugantor, One of the top BD newspapers. Pragati Sarani , Kuril (Bishwa), Baridhara , Dhaka -1229. The Daily Janakantha, Daily Banglali News paper. Janakantha Bhaban, 24/A New Eskaton Road, Dhaka-1000, Bangladesh. The Daily Inqilab , One of the Renown Bangladeshi Newspapers. Meena House, Satmasjid Road, Dhanmondi, Dhaka 1209, Bangladesh. Contact Address and telephone of this Bangla newspaper :. PABX: 9882002, 9881118, 9894467, Fax: 880-2-9885672. Phone : 7100854, 7101383-4, 7102441, 7102448. The Daily Amar Desh, Very popular Bengali news paper in Bangladesh. 136 Tejgaon Industrial Area, Dhaka – 1208, Bangladesh. Editorial and Feature: 8825056, 8861862, Fax : 880-2-9895365. Mediaplex, Love Road, Tejgaon I/A, Dhaka 1208, Bangladesh. 41/1, Qazi Nazrul Islam Avenue, Karwan Bazar, Dhaka- 1205, Bangladesh. Phone : 9133249, Fax: 880-2-9141632. 8/4-A, Segun Bagicha, Dhaka- 1000, Bangladesh. 2/1 Noya Paltan, Dhaka-1000, Bangladesh. Phone: 9344718, 9361468, Fax: 880-2-9360389. The Daily Bhorer Dak, One of the popular Bangladeshi Newspapers. 4/D Meherba Plaza, 33 Topkhana Road, Dhaka-1000, Bangladesh. PABX: 9555937, 9555693, Fax: 880-2-9553680. 12/3, Tajmahal Road, MOhammadpur, Dhaka-1207, Bangladesh. 10/1/1/2, Sayedabad, Janapath Road, Dhaka- 1204, Bangladesh. 28/A-3, Toyenbi Circular Road, Motijheel C/A, Dhaka-1000, Bangladesh. Ibrahim Mension (4th Floor), 11 Purana Palton, Dhaka-1000, Bangladesh. 406 Tejgaon Industrial Area, Dhaka-1208, Bangladesh. 10/A Eskaton Garden Road, Dhaka-1000, Bangladesh. The Daily Al Mujadded , Bangla Newspaper publish from Dhaka. 27 Tongi Diversion Road, Dhaka-1208. The Daily Janata, Published from Dhaka is also national daily Bengali news paper. Dainik Destiny, One of the Bangla Newspapers in Bangladesh. visit prothom alo website to read e-prothom alo. To read prothom alo go to www.prothomalo.com, prothom alo has two internet version for website visitors like normal website and e-paper base website. You will get e prothom alo website link after visiting www. prothom-alo.com. As highest circular newspaper in Bangladesh Bangladesh protidin growing its readers in Bangladesh and outside Bangladesh. Bangladesh protidin website also highest visiting website. You will get a like to go e-Bangladesh proditin where you will able to read bd protidin Bangla newspaper. Bangladesh Protidin epaper is pdf or image enabled internet version, to read Bangla Newspaper Protidin e-paper you do not need any Bangla font. Click on any news then Protidin will open in a popup window with large font. You can read Protidin epaper page by page like print version of Protidin newspaper. Bangladesh Protidin (World Wide Web – www ) Bangla newspapers sample website home page image. To read Protidin Bangla Newspaper you should have Bangla font in your computer. 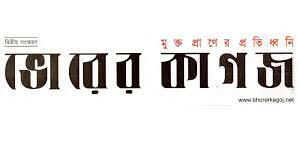 Without Bangla font you cannot read Protidin Bangla newspaper properly. There are many fake websites with the name of protidin but make sure that you are reading Bangla Newspaper protidin from the original source. Every Bangla newspaper in Bangladesh has online version beside printed version. Bangladesh people living outside Bangladesh can read these online Bangla newspaper easily from anywhere of the world. Bangla Newspaper now is very important to Bangladeshi people. Bangla Newspaper readers is increasing significantly as Shopkeeper, Housewife, Cobbler, technician, footpath hawker, tea staller, etc. professional people reading Bangla newspaper when they get a little time. Bangla Newspaper is the main source of knowledge of general people.